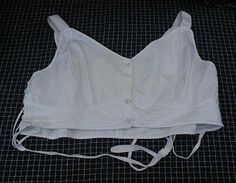 History Of The Bra A bra is an undergarment that is specially designed to support the breasts of a woman. Backless dresses, camisoles, and s..
A woman is naturally endowed with curves and bumps in all the right places. Breasts give you a feminine physique that contributes to your cu..
Genie Bra Cami For Ultimate Comfort & Shape The Genie Bra is a common Cami shaper with built in bra worn as an undergarment and in addit..